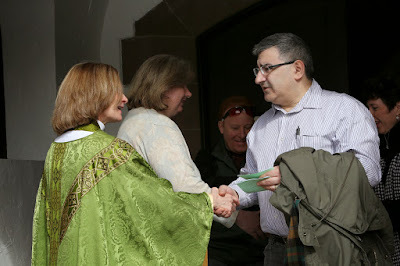 Welcome to Grace Episcopal Church in Nutley, New Jersey, a caring Christian Community of the Anglican tradition that offers an experience of the divine through scripture, sacraments, music and art. Grace Church is a warm and welcoming community of faith grounded in the mission and ministry of Christ. We come from many backgrounds and perspectives, but we share two common commitments: to grow in our faith and to grow in our love and service to God and our neighbors. We hope that you will worship with us some time soon. On our site you will find information about our Sunday and mid-week services, programs and opportunities for children, youth, and adults. Baptismal forms and information about weddings are located under the "Worship" tab. For a complete list of upcoming events, see our calendar.